October 24, 2018 School News, Sports News. 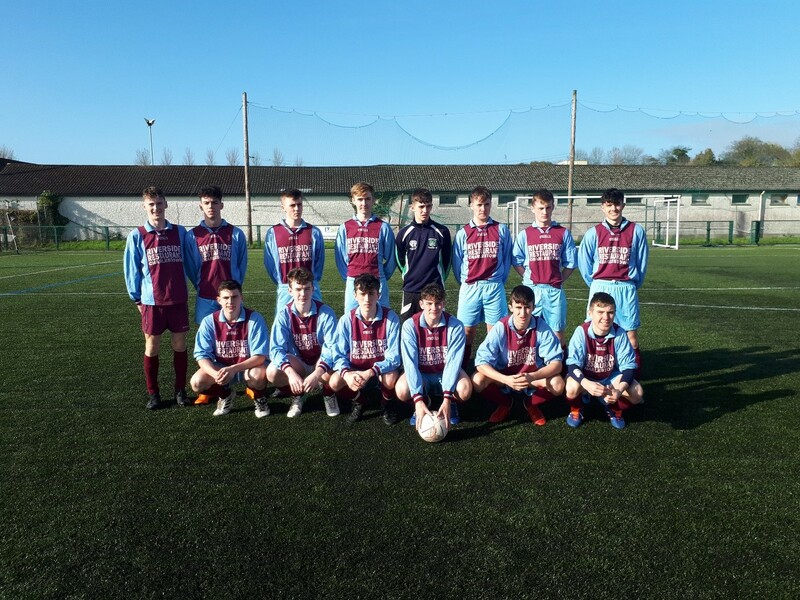 Jack Mahon produced an all-round masterclass in the Knocknarea Arena on Monday afternoon to lead St. Joseph’s Charlestown to a terrific victory against local side Ballinode CC in the Schools Soccer U19 C competition. 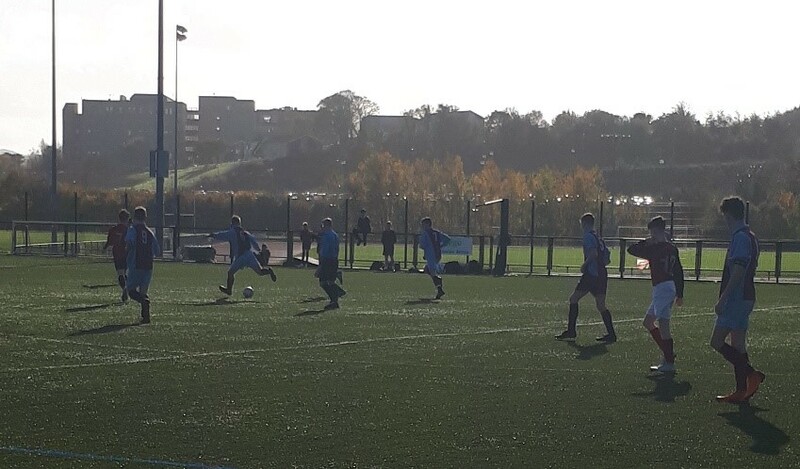 The two schools have battled gamely over the recent years with one school taking the honours one year and the other fighting back the year after. This was Charlestown’s year, thanks in no small part to Mahon who played up front and led the line superbly. Without the services of Ciarán Honeyman, the Mayo side had a few surprise inclusions in the line-up, Tomás Goldrick started on the right of the midfield for his first senior debut with Dylan Marren playing in the centre of midfield, again his first senior start. A good start playing away from home is to be welcomed and when Ruairí Cullen blasted a second minute shot to the bottom corner of the net it set St.Joes up nicely and while they attacked at will in this early onslaught the home goalkeeper pulled off great saves from Mahon on a number of occasions including a free kick that cannoned off the crossbar. Mahons motto was to work harder and on the 11th minute he robbed a defender and waltzed around the goalkeeper to put his side 2-0 in front from close range. Ballinode managed to work their way into the game and were unlucky when a shot cannoned off Dunleavy’s crossbar 12 minutes in.Their reward finally came in the 20th minute, a handball by Doherty was punished with a free kick and while the wall blocked the initial effort the rebound was heading for the bottom corner only for Dunleavy to throw himself at it but unfortunately for him it crept in.The two goal lead was restored a couple of minutes later when debutant Tomás Goldrick actually found the net from an almost impossible angle when trying to pick out Mahon with a cross. By this stage Dillon Curry was turning in a masterclass of his own in midfield, his work rate was awesome and partner Marren was doing ok also. Luke O’Donohue was getting on the ball more and his skills were causing trouble, his link play a joy to watch, especially the 1-2s with Captain Mahon. 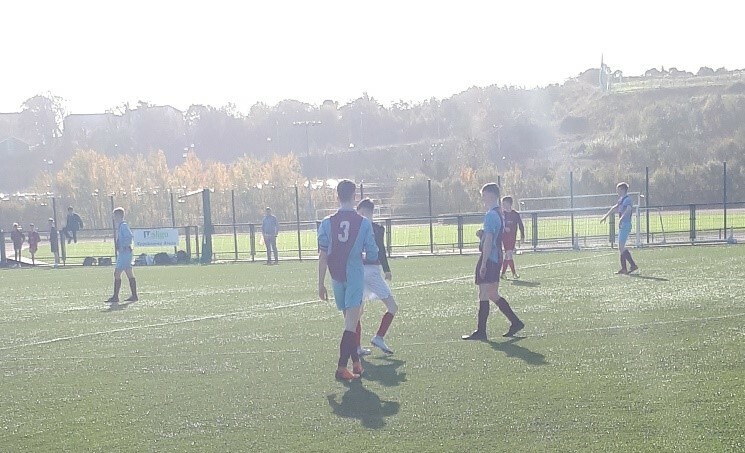 St. Joes were now back on top again with David Doherty, Jack Brennan, Ben Conway and Eoin Goldrick pressing forward from defence regularly. Mahon was upended in the box after 40 minutes and stroked the resultant penalty kick low into the net without fuss. He followed that up with a mazy run and classy finish on the stroke of half time. At this stage he was totally unmarkable and was still so hungry for more. Half time and a 6-1 lead was a nice cushion for Charlestown. 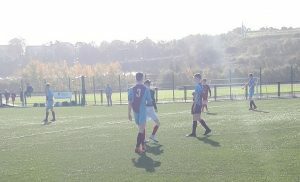 The home side made some changes at half time and were rewarded immediately when their striker blasted to the Charlestown net a minute after the restart to make it 6-2 Mahon then further upped the ante and while denied another goal on 50 minutes he was brought down unfairly on 55 minutes and the referee again had no hesitation pointing to the spot. Mahon shown his maturity and unselfishness as captain when he picked the ball up and handed it to Eoin Goldrick and the Bellaghy man hammered home to the roof of the net and in doing so stopped his younger brother having bragging rights at the kitchen table in the evening! By this time Cullen was doing all his good work in a defensive position and doing it very well, Curry was running midfield extraordinarily well and Mahon just oozed class. Martin McCormack joined the fray and his wing play just enhanced Mahons play even more. The Usain Bolt of Charlestown bombed up and down the line and set Mahon up for another making it 8-2.The Ballinode ‘keeper made another great save and to be fair to the Sligo boys they never gave up and got another back after 70 minutes but by this stage an own goal as well as another brace from Mahon brought the score to 11-3 in Charlestown’s favour. Darragh Duffy and Marty Beirne came off the bench and settled in well with some nice defensive clearances. Mahon made it eight for himself in the 75th minute and probably the most deserving goal of the day came a couple of minutes from the end when a by now shattered, Dillon Curry, roamed forward and blasted to the net to make it a lucky 13 for the Mayo boys. Next up is Grange CC.